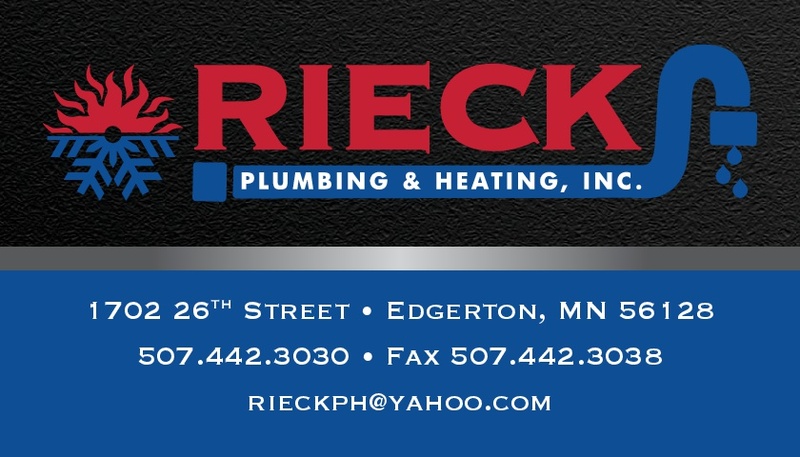 Edgerton, MN Plumbing Services | Plumbing Services Edgerton, MN | Rieck Plumbing & Heating, Inc. If you own your own home, are renting a home, or own a business, chances are you have had to hire a plumber. Plumbing problems are not uncommon, and while regular maintenance is suggested, most people are more reactive than proactive when it comes to their plumbing issues. If you are like most people, not to worry, we know plumbing inside and out and can assist in Edgerton, MN. We offer a variety of plumbing services at Rieck Plumbing & Heating, Inc.. Not only can we handle your standard plumbing issues like leaky pipes and clogged drains, but we are prepared to tackle the big issues as well. Our experienced staff is well-equipped to meet your individual needs. If you are looking for a plumbing services contractor, Rieck Plumbing & Heating, Inc. is here to help you with your plumbing issues. Whether you are looking for regular maintenance or you have a serious issue, call today to schedule an appointment.